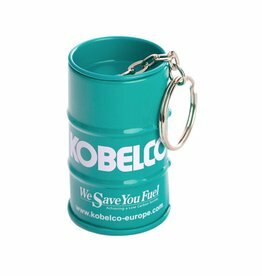 Keychain oil can 32x55 mm. Including imprint Kobelco logo. *New* White Key ring with 2D impression of the SK500LC. Web address on the back. Packed per piece in polybag.